Mapperley Bed and Breakfast is in the Upper South East region of South Australia and is perfectly located for an enjoyable and peaceful escape. For those who wish to venture further afield, it is an ideal home base to explore what the Limestone Coast region has to offer. It is also a handy stopover for interstate travellers and corporates working in the area. 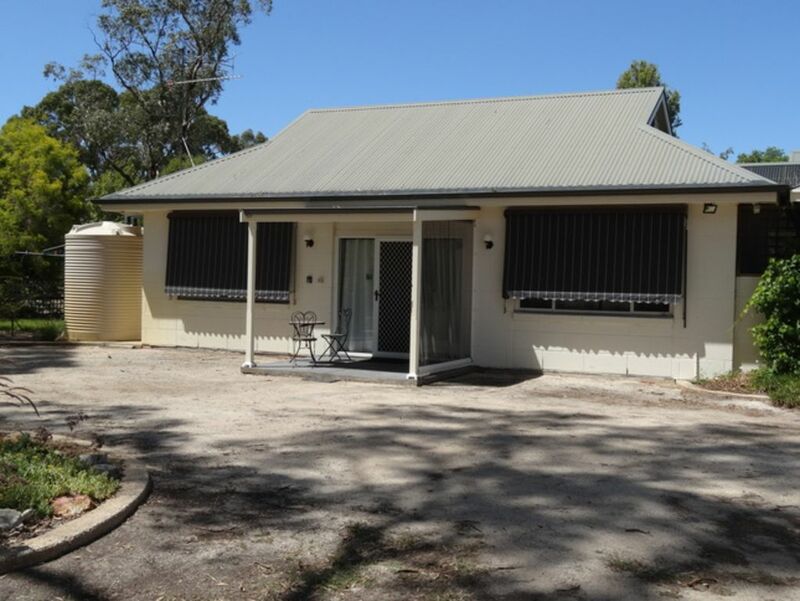 It is situated 3 kms (5 minutes) from Bordertown on the road to the local golf course and away from the main highway. It is on a farm and is a self-contained cottage. It has one bedroom and the cottage has all facilities, landscaped gardens with plenty of room to meander about and outside dining as an option during the warmer part of the year. It is able to sleep a couple or a single but has the ability to sleep two couples or two singles by using a very comfortable sofa bed set up in the spacious lounge area. There is plenty of parking space for more than one vehicle. Included in the tariff is a free continental breakfast consisting of toast, cereals, fruit, fruit juices, plunger coffee, instant coffee and a selection of teas. What a little gem we found here! The house was beautifully appointed, really comfortable and Ken & Sandra could have been more accomodating! We will be back! A beautiful little house surrounded by lovely gardens. Our hosts thought of everything and included a variety of items to make our stay comfortable. We were greeted with a cheese plate and sent off with a yummy breakfast. A great resting place on the drive from Melbourne to Adelaide. We enjoy ed this "halfway home" between Melbourne and Kangaroo Island very much. Ken and Sandra are a pleasure to meet. A beautiful and unusual garden to wander in. The cottage is very comfortable with a pleasant decor. We appreciated the nibbles and generous continental breakfast. Best of all our dogs loved being able to freely roam about in the extensive garden. Well presented. Breakfast included was really good. Bed is extremely comfortable. Would stay again if the need arises. Thank you for the delightful experience.